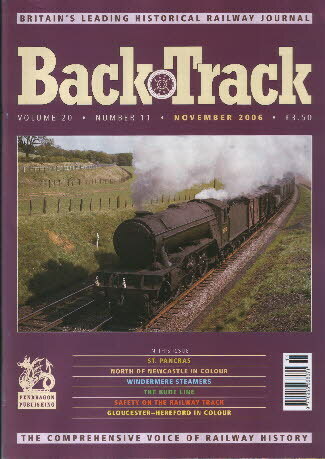 Railway Magazine | BackTrack Nov 2006 journal from Pendragon Publishing. Sharp's of Manchester Part 2 - Michael Rutherford concludes his history of the Manchester loco building firm of Sharp, Stewart & Co.
Lad labourer on the LNER - the experiences of Peter Vines on the Signals & Telegraph Dept. in the Cambridge area.